Today I met Nobuo Uematsu and Arnie Roth for the second time on their ongoing Distant Worlds project. The interview was incredibly engaging and I can’t wait to post it in its entirety. But today I just wanted to thank Leanne Araya and Chris Szuberla at AWR Music for setting it up, Nobuo Uematsu’s manager Hiroki Ogawa for translating and of course Nobuo Uematsu and Arnie Roth for generously giving of their time and energy to give one of their most engaging interviews to date. Special thanks to my partner in crime, Ashley Nunn, for her help shooting video and stills during the interview. 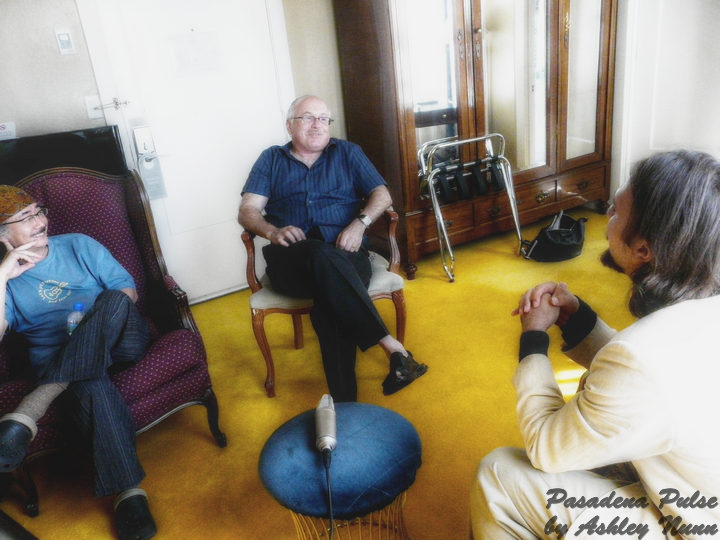 From left to right: Nobuo Uematsu, Arnie Roth and Per. Photograph by Ashley Nunn.